Warner Bros. Home Entertainment provided me with the free physical copy I am including in this Blog Post. The opinions I share are my own. I have been a fan of Scooby-Doo and the gang since I was a little girl. Mysteries are my thing. When I had children, they too became fans of Scooby-Doo mysteries…not that I pushed it on them or anything. No, really, I introduced them to the shows, and they quickly became fans themselves. 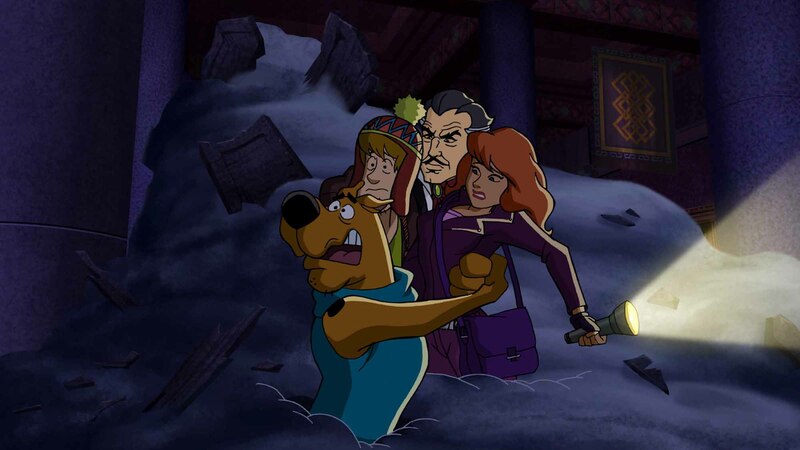 Fans can get excited over the latest full-length animated film: Scooby-Doo! and the Curse of the 13th Ghost. You can get it on digital now and on DVD February 5th. 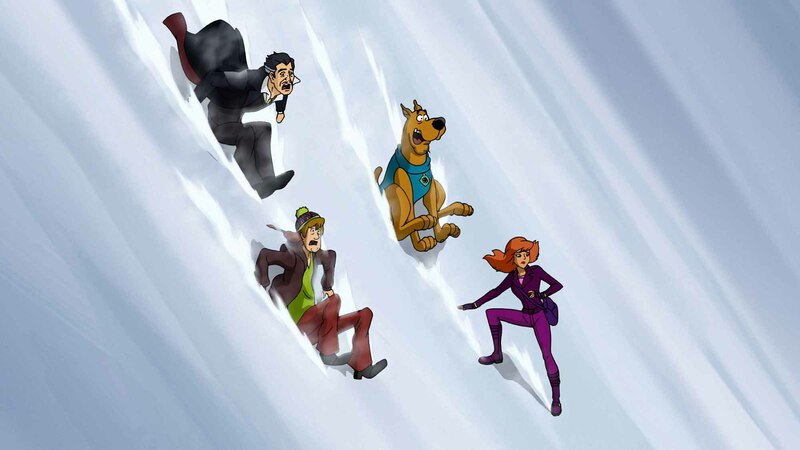 The Mystery Inc. gang heads to the snowy peaks of the Himalayan mountains to track down a lost chest that contains the spirits of 12 captured ghosts in Scooby-Doo! and the Curse of the 13th Ghost. After the Mystery Inc. gang goofed up a case and nabbed an innocent man, they’re forced into early retirement from crime solving. 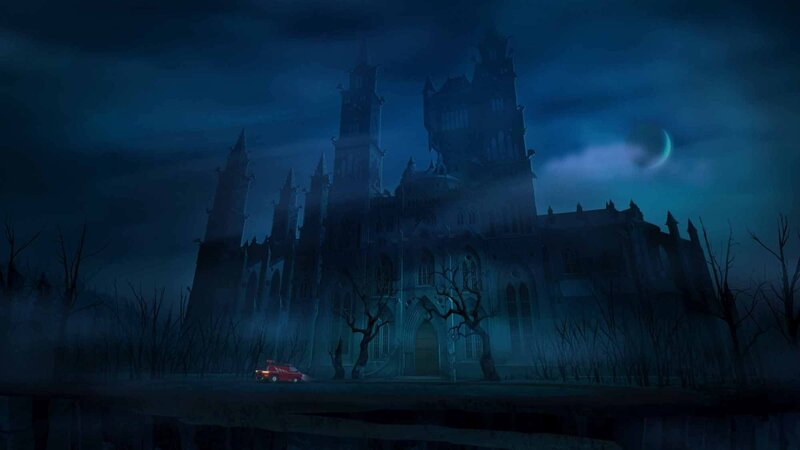 It’s not long however, before their old friend Vincent Van Ghoul needs help and pulls the team right back into action. The gang has unfinished business they must tend to, which involves catching a ghost that previously got away. It all happened one summer while Velma and Freddy where away at camp. Scooby-Doo, Shaggy and Daphne secretly hunted down 12 of the world’s spookiest ghosts, but they failed to catch the most evil one of them all…the 13th ghost. Now the elusive spook is wreaking havoc. Vincent needs help having him captured and confined to the chest of demons, a box that contains the other 12 captured ghosts. With the 13th ghost still on the loose, the gang will have to come out of retirement and finish the job once and for all. The chest however, is now located somewhere in a remote village in the Himalayas. Determined to help Vincent, the gang sets out on one of their most thrilling adventures yet! Bundle up and get ready for the icy slopes of the Himalayan mountains, chilling car chases, crystal balls and spine-tingling spells in this terrifyingly fun original movie! Your Scooby-Doo loving kids are really going to enjoy this fun new film! The gang gets a call from Vincent Van Ghoul, and they’re off to help him catch the 13th ghost. Freddy and Velma don’t know who Vincent is because they weren’t on the last case he was involved in. So Daphne takes the lead, and Freddy isn’t sure where he fits in. He’s sold the Mystery Machine, but here Daphne has one of her own! Freddy wants to drive, but he can’t drive a stick shift. He’s definitely out of his element…he even gets stuck passing out the Scooby snacks. 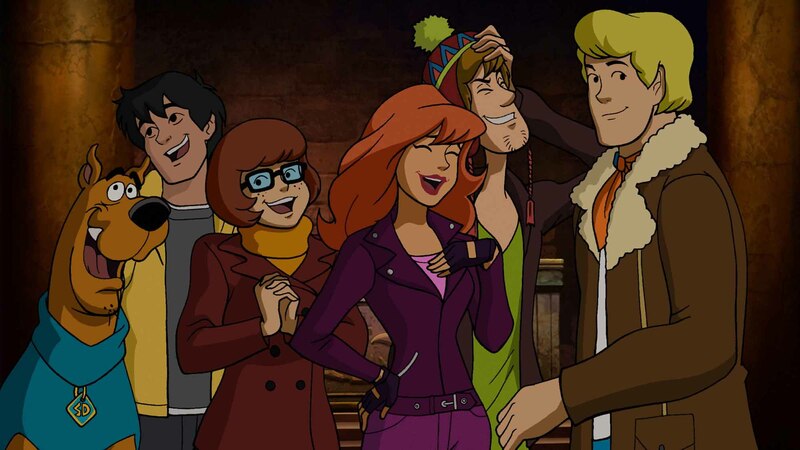 Velma too feels a little out of her element because Daphne, Scooby and Shaggy insist that the ghosts in their case are real and not masked characters like they usually are. She doesn’t believe in ghosts. 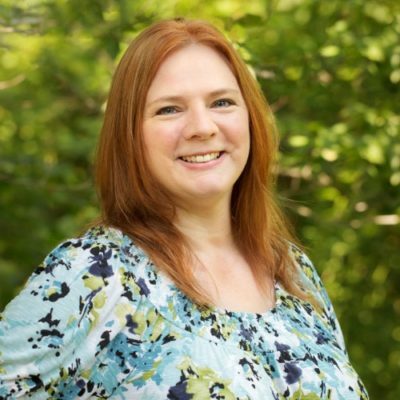 But will this case finally convince her? 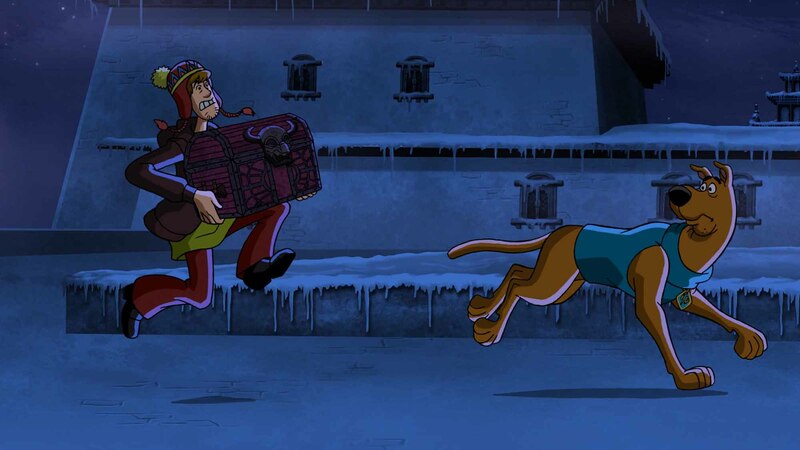 This film has the usual fun and hi-jinks of all the Scooby-Doo shows, and it teaches some valuable lessons. It’s okay to not always take the lead, and there is a place for everyone on the team. Be sure to add this one to your collections! This fun, free printable features all of the characters from the movie that your child can color and cut-out. The instructions for bringing your shadow play to life are all included! Download your Shadow Play printable here! The DVD is available February 5, 2019, and you can order it now! 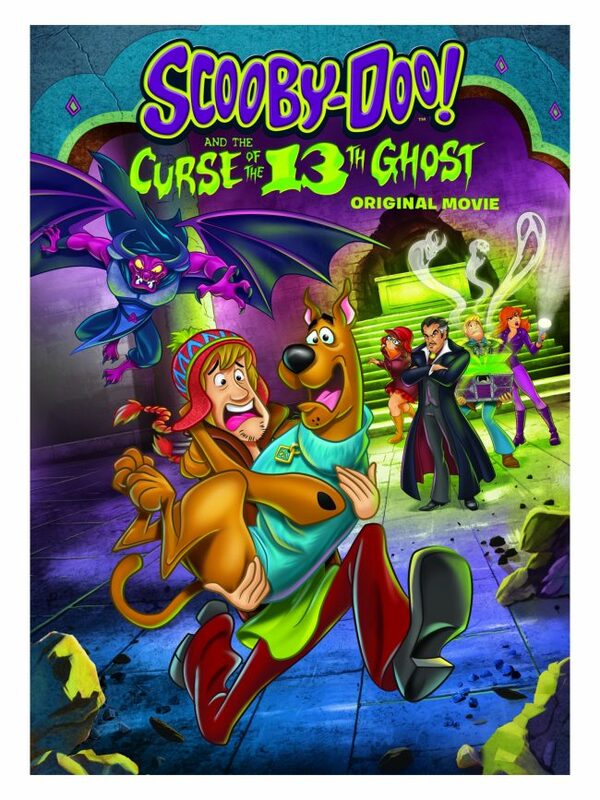 The DVD includes 2 bonus episodes: The 13 Ghosts of Scooby-Doo, “To All the Ghouls I’ve Loved Before” and The 13 Ghosts of Scooby-Doo, “Horror-Scope Scoob”.